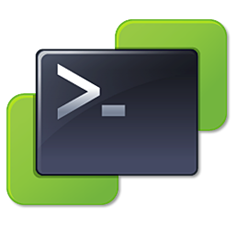 Recently I was looking for a way to consume the Storage Policy Based Management (SPBM) cmdlets in PowerCLI. I wanted to see if I could provision a VM from a Template onto my vSAN datastore with a particular policy rather than simply change it after it was deployed. It wasn’t as easy as I thought, as some of the commands I tried would only change the VM Home Namespace to the new policy, and leave the disks with the default datastore policy. And when I tried to clone a new VM from a template, I couldn’t get the VM to pick up the policy at all. After much trial and error, and some guidance from one of our PowerCLI engineers, Manish Tiwari, we eventually managed to achieve what I set out to so. Here are some examples if you wish to do something like this yourself. Note this is PowerCLI version 10.1.0 build 8346946. The commands are run against a vSphere 6.7 GA deployment. Result: Works on VM Home Namespace only. Result: Works for both VM Home Namespace and Hard Disks. Result: Works on VM Home Namespace only. Same as #1. Result: Doesn’t work at all. Both VM Home Namespace and Hard Disk get default policy, not requested policy. Result: It works, but it is not ideal since the VM is first created with one policy and needs to be rebuilt with a new policy, which leads to resync traffic. Result: Sort of works. The following can be used so long as there is more than one disk attached to the VM. It doesn’t work when there is only a single disk. Result: Same as #6 – sort of works. The following can be used so long as there is more than one disk attached to the VM. It doesn’t work when there is only a single disk. Result: This will work when there are one or more disks. But again, the initial VM is deployed with the default datastore policy, and then converted to the desired policy. Not ideal, as it incurs overhead to change the layout of the objects. While it is possible to create a single line command to create a VM with a certain storage policy, but if that VM is cloned from a Template, the command is not intuitive. Kudos once again to Manish Tiwari who helped significantly with the more advanced commands. I am going to request that this process for cloning a VM from a Template with a policy gets simplified, and that some simpler PowerCLI commands should be available to simplify the creation of all VM objects with the same policy when it is cloned from a Template. ← Why upgrade vSAN? Here is a list of features, release by release.